In two situations it is common to have a root canal, the pulp can be damaged, which is the interior living part of the tooth. Also the nerve of the tooth can be infected by bacterial growth. What is a root canal? In a root canal procedure, a local aesthetic will be applied to make the gums and the tooth numb. We then use a dental dam to keep the area spotless and dry of saliva. Tools are then used to open the tooth and extract the pulp, decayed nerves, and other debris from the tooth. Once the area has been cleaned and disinfected, a filling is then inserted into the tooth. The exterior is then molded to replicate the exact look and feel of your pre-existing tooth. Sometimes extended tooth decay can result in the loss of a tooth. Most of our clients are startled to hear that this is necessary. Because of the importance of a smile, a missing tooth can give people trouble with the appearance of their smile. The good news is that in these modern times a dental implant cost is extremely affordable and a good substitution to going about substituting missing tooth. We are a dental implant center that specializes in highly functional and aesthetically pleasing tooth implants. The procedure will be conducted over two dental visits. In the first visit we will implant a screw into the position of the missing tooth in the jawbone. Over the next few months, we allow that new root of the tooth to be accepted into the gums and jaw. In the second appointment we install the new tooth. The length of time between the first and second appointment may vary and depends on your health. During this time you will have a temporary replacement included in the tooth implants cost. How much are dental implants is a consideration that you may have to bring up with your dental insurance provider. Considered a normal and common procedure, often times full dental insurance will provide a subsidy or cover a majority of the cost. If a majority of the tooth is still intact and healthy, often times a better, cheaper, and less invasive procedure is possible as in the case of dental crowns. Due to the complex situation of wisdom teeth removal, a dental surgeon must be experienced and knowledgeable in your situation. Rather than being a simple extraction, the tooth extraction procedure to remove wisdom teeth is highly invasive, but is well worth the trouble. Often times the best situation for wisdom tooth removal is to do it before they have even grown in. Full dental implants– this process is used to surgically implant a replacement for a full set of the upper or lower teeth. 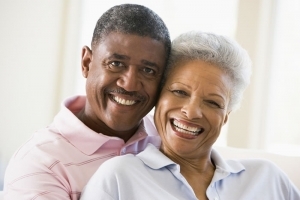 Permanent dentures– dentures are also a good procedure to consider if you’re looking for a full tooth replacement. Dentures are often removable. For other kinds of works we do cosmetic and preventive dental care. Take a look at our popular teeth whitening options. If you’re looking for restorative dental care, any of the processes we have spoken of within this page, or any other common dental works, please reach out to us for a free consultation. You can find contact info on the About Us page, where there is also a form to submit any queries, request an appointment, and get in direct contact with us.